Rafting is so much fun. Need we say more? But, what if you want more? Good thing KODI offers several adventure packages that take you beyond the water and into some of Colorado’s most remarkable places. Pair your Colorado rafting adventure with a ziplining trip, a dip in some hot springs, and more to make your Colorado vacation even more memorable. 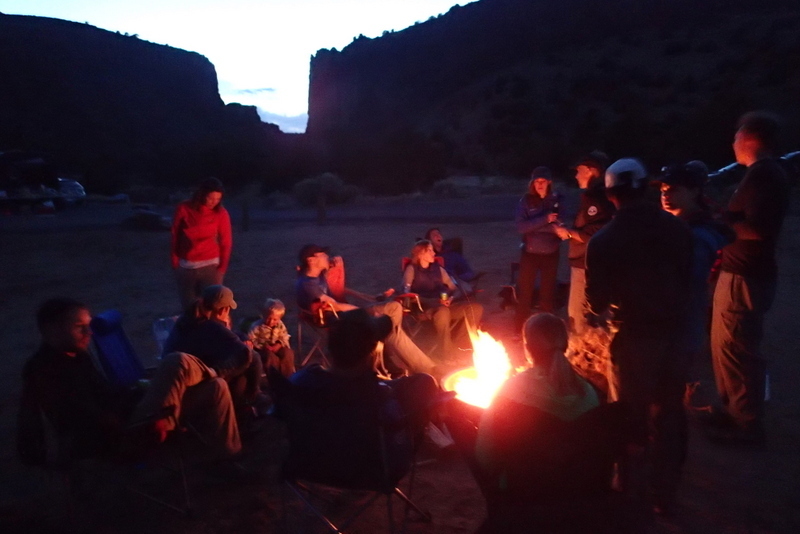 Book one of the following KODI Adventure Packages to take your Colorado adventure to the next level. The best of both worlds—a morning of ziplining and an afternoon of rafting Colorado’s favorite whitewater. Enjoy two fun, quintessential Colorado activities in one easy, incredible day. Best of all? It’s all planned by us. All you have to do is show up. What are you to do if you have one day to play and you want to horseback ride and raft? Well, you book a Saddle Paddle trip, of course! 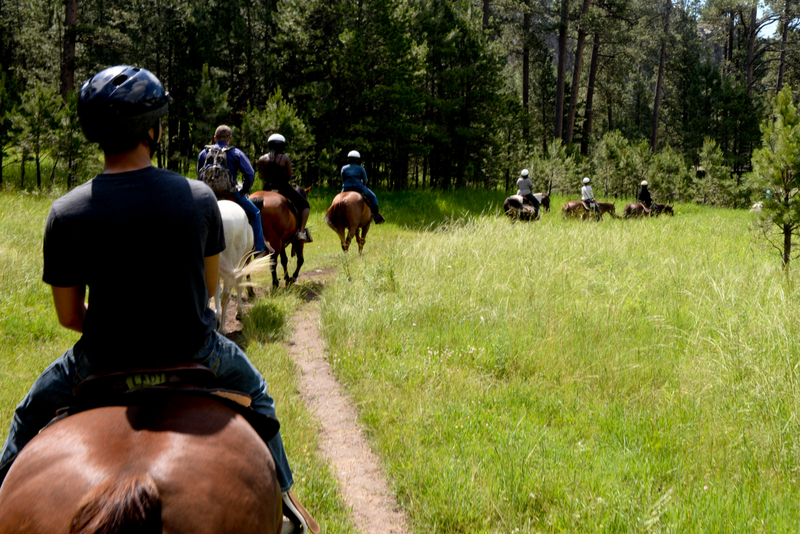 Pair any of our rafting trips with a horseback ride in the Rockies. Make a full day of your adventure or break it up throughout your stay. We’ll help you decide. Whitewater is on your bucket list. Now, let’s go add some more fun to your stay! Pedal Paddle takes you to the top of Vail Pass where you’ll coast down the paved trail from the top through Copper Mountain Resort. Be sure to wave hello to river enthusiasts as you pedal your way through Ten Mile Canyon and on into the Town of Frisco. Experience a multi-sport trip in the heart of Patagonia! Activities include whitewater rafting, hiking, horseback riding, fly fishing, yoga, and mountain biking. Stay at a deluxe riverside adventure camp with a hot tub, a sunset bar, massages, wine tasting, and more! Travel internationally this year and experience a multi-sport trip in the heart of Patagonia! Activities on KODI's Chile adventure include whitewater rafting, hiking, horseback riding, fly fishing, yoga, and mountain biking. Stay at a deluxe riverside adventure camp with a hot tub, a sunset bar, massages, wine tasting, and more! The core of your trip will be whitewater rafting down the Rio Futaleufu & Rio Azul where you’ll raft class IV to class V whitewater. Read on for little more info on these two awesome rivers! 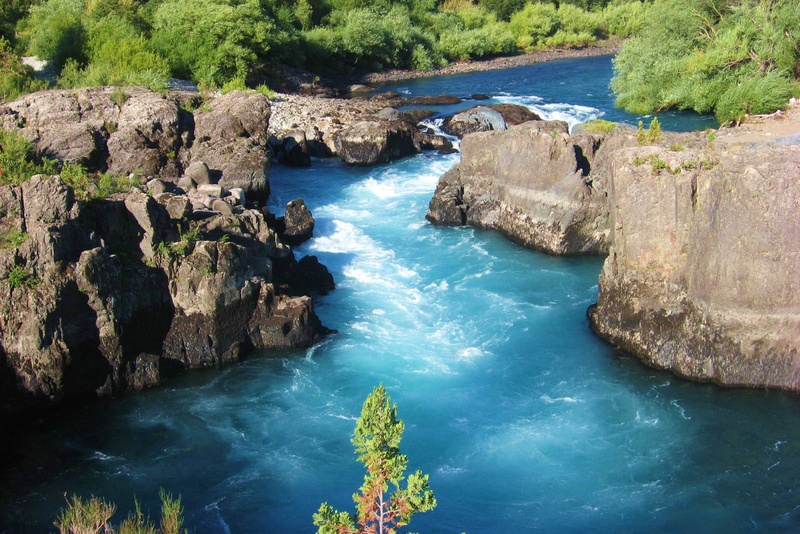 The Futaleufu River is known in whitewater circles as one of the most stunning and challenging rivers in the world. It's an exhilarating whitewater power storm with a life force of turquoise, champagne-like water. Riding the spine of this river as it flows through this isolated portion of the glaciated Chilean Andes is an unparalleled experience. The headwaters of the Rio Azul lie deep in a glacial river valley to the west of the Futaleufu River. The Rio Azul is one of the colder rivers in the region because it is glacial fed rather than lake fed, which tends to increase the temperature of other rivers in the valley. Because the Azul River has no lake as its source, it's also prone to wild fluctuations in water level and is often the quickest river to respond to changes in precipitation in the Futaleufu River Valley. When the Azul is running, it offers whitewater paddlers some of the best play features and scenery in the valley. Will you be in Colorado this winter? Do you NOT ski? Have no fear. Colorado is a winter wonderland offering plenty of fun activities that don’t require a chairlift, a pair of poles, or a snowboard. Check out these activities and before you know it, you’ll fall in love with Colorado’s winters. Combine the thrill of a high-speed ride with snowy alpine scenery and you’ve just discovered why snowmobiling is so popular in Colorado. 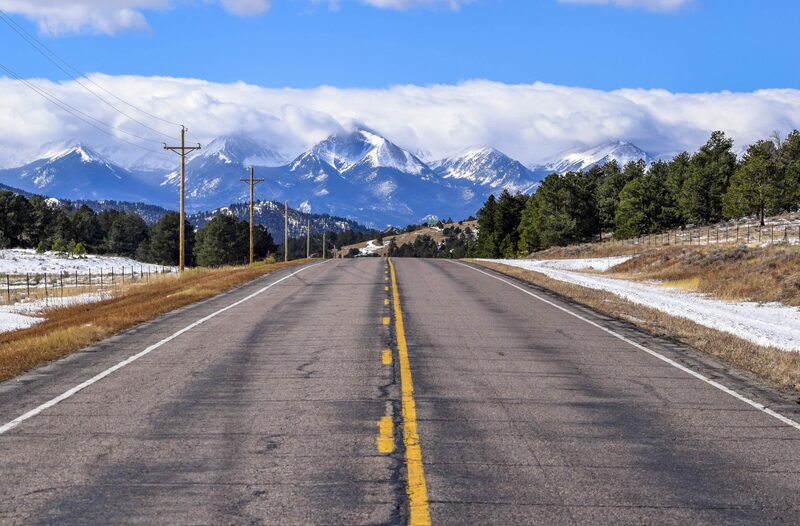 With more than 3,000 miles of snowmobiling trails throughout the state, you won’t have trouble finding a place to rent a fleet and take a snowmobile ride in Colorado. Book a snowmobile tour with KODI Rafting. Winter weather + ziplining + snow cats = ultimate Colorado! Relax and enjoy the views in cozy comfort as you are transported almost 1,000 vertical feet in a Snow Coach to the first zip line departure deck. Look for possible wildlife as the driver points out areas of interest and gives commentary about the history of the area. All you need is an incline and some snow to enjoy this classic activity. 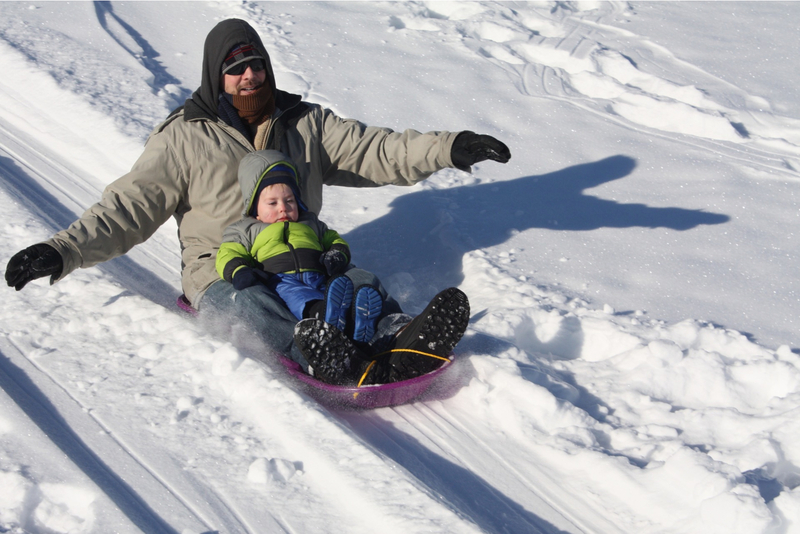 Sledding isn't just for kids. People of any age love going fast and taking daring jumps. Colorado is filled with mountain lakes, which means there are lots of opportunities for ice skating each winter. There are also numerous indoor rinks scattered across the state with open skate times. When it’s snowing, it’s the perfect time to take a dip. Yep, that's right. Our famous hot springs are filled with delectably warm water and are ideal for watching the snow fall. Fishing season doesn't have to end just because the lakes freeze up. Drill a hole, set up a tent, and wait to bait a big one. If you don't have the necessary equipment, most equipment is available to rent near popular ice fishing spots. Snowshoeing is simply hiking... on snow! The difference, however, are the majestic white landscapes that come with snowfall. There's nothing quite like the serenity of a snow-covered Colorado forest. Take your animal-loving friends and family members on a dog sledding trip. These mountain dogs love pulling you across vast, snowy landscapes with stellar views all around. This activity is for the adventurous looking to step out of their comfort zone. Make it to the top of an ice-filled gorge and you'll feel like a true badass. Colorado offers several historical train rides, many of which operate throughout the winter. These tourist trains are especially popular during the holidays when Santa is known to jump aboard and hand out small treats. 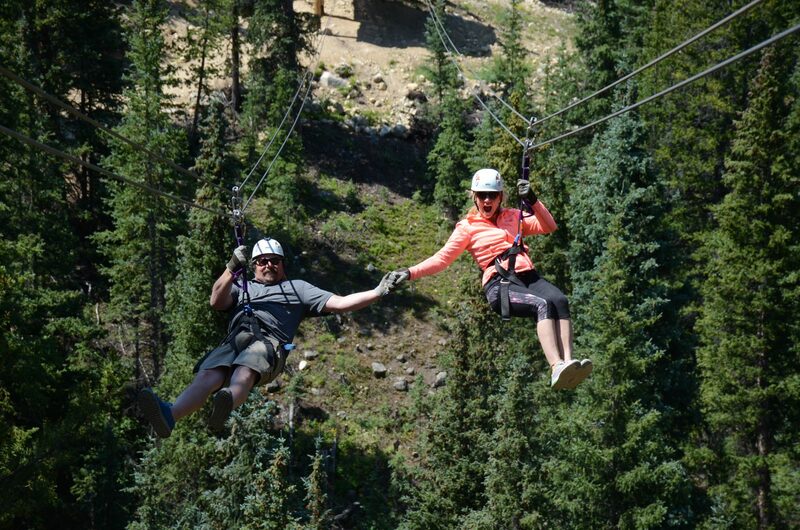 Experience the adrenaline rush, the views, and the memories you'll make on a Colorado zip line adventure with KODI Rafting and Top of the Rockies Zip Line. Contact KODI Rafting today to book your zip line trip. Low Water Flow and No Snow… Now What? It’s fall in Colorado. The river is too low to run and there’s no snow for skiing. So, now what? The good news is this is Colorado, where there is always an amazing outdoor activity waiting for you. Check out our list of favorite fall activities that don’t require snow or flow. Colorado hot springs are ideal when there’s a crisp in the air. Submerge yourself in warm water as the sun shines above you or the stars twinkle. Great for individuals and families alike, there are hot springs in almost all parts of the state. Trails are still game before the snow falls. Plus, the cooler weather seems to add to one’s endurance level. 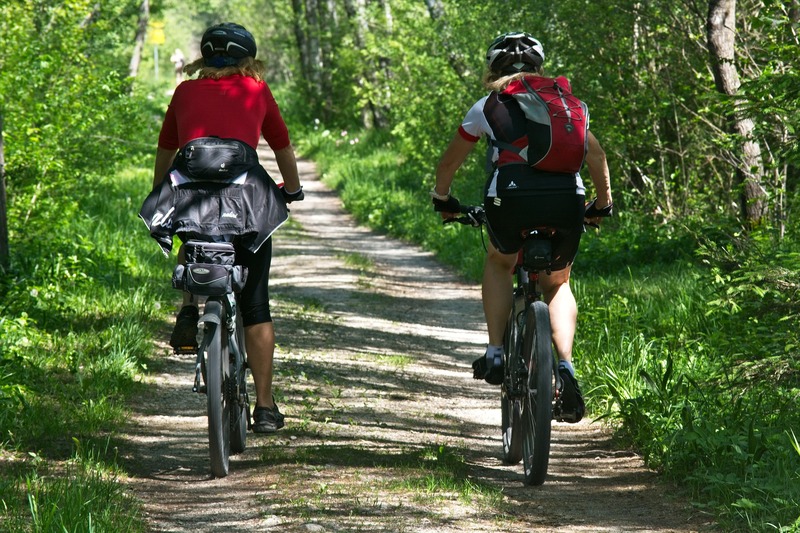 Ride through aspen forests and take in the changing leaves or hit up a paved path in the mountains or the city. You’ll get stellar views wherever you choose to ride. 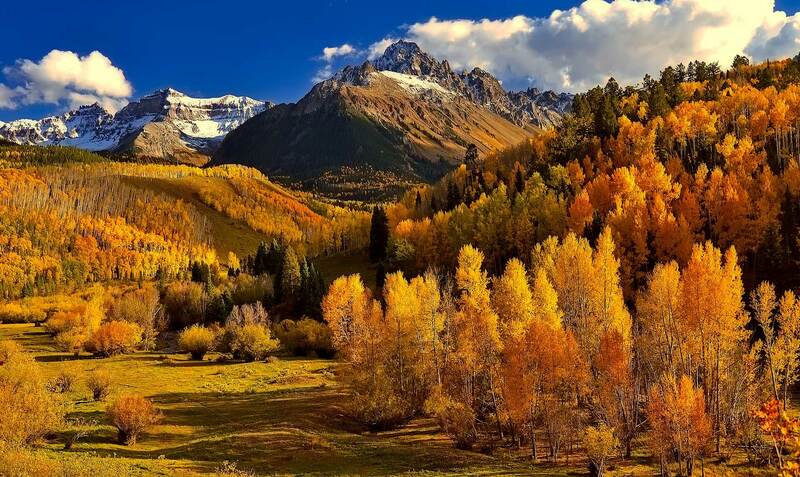 While the quintessential Colorado activity is available year-round, fall is especially wonderful. The aspens change into shades of red and gold and the air just smells sweeter. And with most of the tourists gone, you’re more likely to discover total and absolute solitude. Every September and October, Rocky Mountain National Park becomes the stage for one of the greatest shows of the animal kingdom—the elk rut. 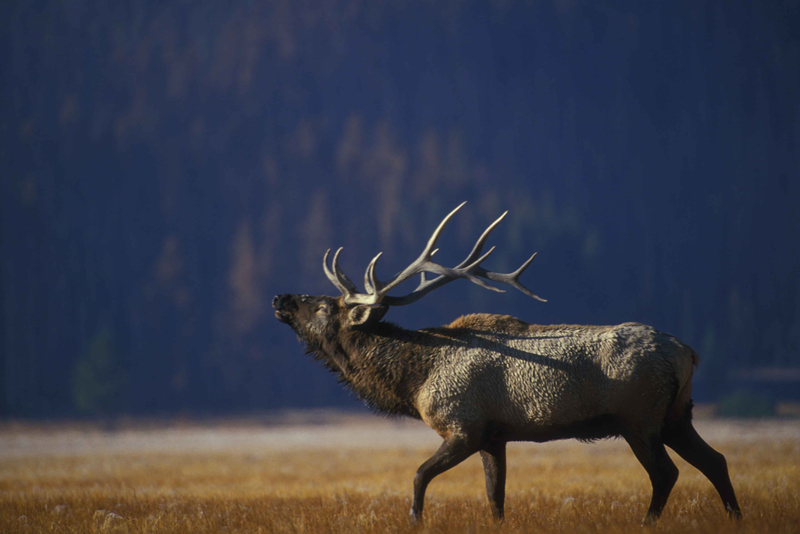 In laymen’s terms, that’s mating season, when bull elk call loudly (the official term is bugle) and strut their stuff in order to attract and defend mates. Viewing this spectacle is easy. You’re almost guaranteed a front-row seat. If you’re planning your first river trip, you want to make sure you choose a rafting outfitter that’s going to make your experience on the river as incredible as it can be. Several factors comprise great river trips. 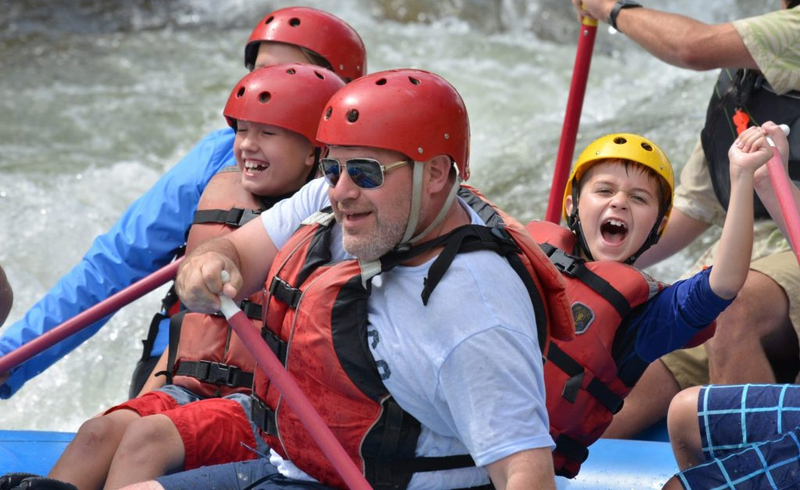 From safety to fun and everything in between, each of those factors should be considered when choosing a rafting outfitter. We know, considering all of these factors makes the choice sound intimidating. Top it off with the fact Colorado has dozens of raft companies to choose from, and the job borders on overwhelming. However, if you follow our advice, you’re sure to find the rafting company that’s right for you. While planning, we think everybody should pay attention to these three major details about the river rafting company you intend to book your trip with. The dangers of whitewater are no joke, so you want a river outfitter that has an excellent safety record. It should have the right safety equipment and offer straightforward, easy to understand safety demonstrations that will keep you safe. Establishing rapport with people starts with good conversation. Your guide should have the patience to chat with his or her guests as well as be able to talk comfortably about the surrounding wildlife and river history. In return, Your guide will be able to evaluate the comfort level of everyone in the boat before "testing the waters" so to speak. Do you prefer to hit the fun splashy stuff or stay as dry as possible? Either way, a personable guide will make or break your river trip. There is no universal trip right for everybody. Make sure you inform the rafting company about the age, physical condition and swimming ability of each member of your group. A good river outfitter has a variety of trips to choose from and informed staff who help you find the perfect whitewater rafting trip for you! Go online for a sense of these factors. When you've narrowed down your options, give them a call and get more details. Ask yourself, are they friendly, do they answer all your questions, are they pushy or don’t seem like they have the time to answer all your questions? You can get a great feel for the company by their reservation staff, as it usually will translate into the guide staff on the river. Sure, we love our rivers here in Colorado, but they’re just one piece of our breathtaking landscapes. Beyond the canyons and banks surrounding our whitewater are tree-filled mountains, wildflower-strewn meadows, snowy peaks, and more. While many people choose to hike into the backcountry to experience all this wonder, we’d like to recommend horseback riding as an alternative method for exploring Colorado’s nooks and crannies. Colorado is steeped in western heritage, and there's no better way to experience it than firsthand on one of its many ranches. Colorado’s mountain vistas always look more stunning with a horse in the picture. Children as young as five years old may participate on trail rides, and even little tots under the age of five can take a pony ride at some stables. Take photos of your ride for memories that will last a lifetime. Horses are incredible animals. They are large, majestic, and emotional creatures. It's not hard to form an unbreakable bond with horses, even during the short time of your ride. The connection that forms between rider and horse is one you'll always remember. Colorado is blessed with an abundance of wide-open spaces and wilderness. Hidden away are mountain trails so rugged, the only way to access them is on foot—or, even better, on hoof! KODI Rafting makes booking a horseback riding adventure easy. Simply call our reservations specialists, and they’ll set you up. Better yet, pair a horseback ride with a raft trip by booking a Saddle Paddle adventure.